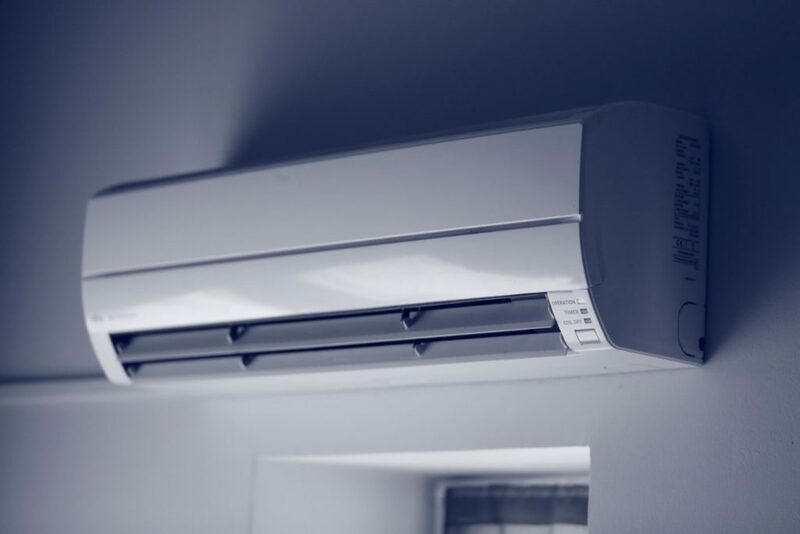 According to the union Uniclimat, almost 500 000 reversible air conditioning in 2017 has been passed, the result of a steady progression of about 8% each year. The French are attracted by this technology that ensures the thermal comfort of a house or apartment without a high bill. However, there is some skepticism about this equipment. We imagine that the current reversible air conditioners are like those of the past: very energy-intensive. This is no longer the case for years thanks to technical developments. If you are still reluctant to take the plunge, here is a perspective to dethrone many misconceptions about reversible air conditioning. How does a reversible air conditioning work? A reversible air conditioner has a similar operation to that of an air-to-air heat pump. In heating mode the outdoor unit draws calories from the air, even in very cold weather, and transfers them to indoor units that blow hot air. In cooling mode, the unit removes calories from the indoor air and discharges them outside. This rejection of calories has no impact on the environment and does not cause any inconvenience if the unit is properly installed, that is to say in the open air. The operation of the heating is generally of the low temperature type, producing a gentle and constant heat. The air conditioning aspect is often based on the principle of the inverter, which allows to cool slightly, but constantly the indoor air. We can also realize energy savings thanks to reversible air conditioning by favoring an inverter device, which also limits the premature wear of mechanical parts. Control of all these operations comes in the form of a remote control, a room thermostat or for high performance, a smart connected thermostat. How to estimate the performance of a reversible air conditioning? There are hundreds of models of reversible air conditioning. There are different brands and different powers among which it is appropriate to choose the most suitable device housing. To help you find the right equipment, manufacturers use very specific performance indicators that are indicative of the device's performance, but also its energy impact. This indication is a requirement since 2013 and the ErP Eco Design Directive. The COP. The COefficient of Performance is the oldest index. It indicates how much heat is returned for each kWh of electricity consumed. To determine this value, the manufacturers arbitrarily take into account the operation of the equipment at an external temperature of + 7 ° C. High-end devices have very high COPs while entry-level devices have low COPs. The average COP currently found on all ranges is located near 3. SCOP. To report performance under very high or very low temperatures (up to -20 ° C), the authorities have put in place a new standard that is gradually replacing the COP: the SCOP, or seasonal COP (formerly COPA or Annual COP). The values ​​for calculating this index are based on a classic heating period in the city of Strasbourg. Strasbourg having the most average climate in Europe. It is recommended that reversible air conditioners with a SCOP between 3,5 and 4,5 be preferred. EER and SEER. To represent the performance in cold production, the manufacturers use the EER and SEER indices, respectively inverse of the COP and the SCOP. Values ​​between 4 and 7 are usually indicative of high performance equipment. Reversible air conditioning: Which elements to choose? 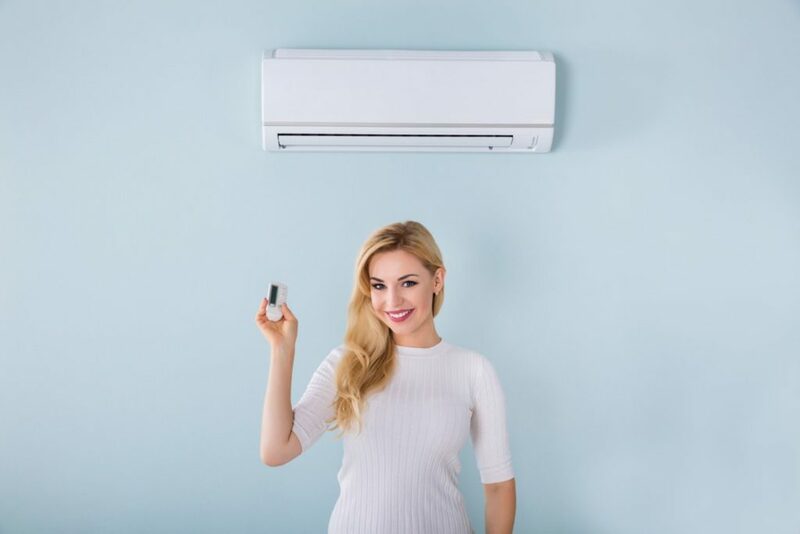 To meet the variety of situations, manufacturers of reversible air conditioning have developed different types of devices. Depending on your case you can orient yourself towards a particular type, you will enjoy total comfort by not consuming more than necessary. Reversible air conditioning multisplit. This is the most common model. It involves the installation of an outdoor unit and several indoor units, usually one per room of the house. Monobloc air conditioning. This system responds to more specific requests. It helps to ensure hot and cold in one room. It is therefore recommended for studios or offices. The duct systems. This is the most complex system. It requires the installation of an outdoor unit and an indoor unit, located in the attic. The heat or the cold are distributed in each room thanks to a system of ducts to integrate in the walls. Can we really save money with a reversible air conditioner? Thanks to its operation identical to that of a heat pump, the reversible air conditioning ensures a very economical thermal comfort. The manufacturer of such devices, Hitachi, presents an estimate of the savings achieved through a reversible air conditioner, on a house of 125m² built in the 1980 years. 1030 € with natural gas. 2015 € with LPG (Butane-propane). On average it is estimated that a reversible air conditioning is 70% more economical than a more conventional heating mode, without counting the initial investment. Noise pollution. We often hear that the outdoor unit of a reversible air conditioning is very noisy and that the indoor unit purrs constantly. This is only true for models at very low prices, which we do not recommend. Hitachi, a renowned manufacturer, claims that these devices are low noise: 46dB for the outdoor unit and 21dB for the indoor split. In comparison, leaf rustling presents 40dB and a dishwasher in 50dB operation. If you have a thin ear, be aware that there are noise barriers that you can install around the outdoor unit to further reduce mechanical noise. Ecological impact. A reversible air conditioner is an ecoresponsible product in many respects. This equipment is very energy efficient and produces more heat or cold than it consumes energy. In comparison an electric heater produces as much heat as it consumes electricity. Reversible air conditioning can reduce the use of fossil fuels significantly. Now fluids circulating in the circuit of the device are environmentally friendly, unlike those of electric air conditioning of yesteryear. Heating comfort. It is sometimes put forward a poor heating comfort because of the low performance of the reversible air conditioner. This is ancient history, because in our latitudes modern equipment can offer heating comfort equivalent to any other heat pump. In very cold countries, it may be necessary to add a backup heater, but in France, a device with a reasonable SCOP will be sufficient. Complicated installation. Drilling the walls, injecting gas and other work can be intimidating. However, the installation of reversible air conditioning has largely simplified. If your home has a standard morphology, the installation will not be a problem. Technicians now have experience in the field and can install a complete system by limiting inconvenience. The reversible air-conditioning really renewable green energy? Heat pumps and CO2: what real emissions?